Chris was born and raised in West Virginia, but now calls Denver, Colorado home where he lives with his wife Elly and their two sons. After graduating from Yale University, Chris lived and studied in Nepal where he started OneSeed Expeditions in 2011 as a way to harness the power of travel for good. With 10% of all OneSeed Expeditions trip costs designated for micro-lending, more than $300,000 has been invested to date in more than 650 small-scale entrepreneurs around the world through the OneSeed Microfinance Fund. Chris is a former Kiva Fellow, Teach for America Corps Member, NOLs alumni, and currently serves as a Business Mentor at the Rocky Mountain MicroFinance Institute. When he’s not working, Chris loves a good trout stream, dumplings, and getting haircuts in unfamiliar languages. Glenna originally hails from Chicago but now calls Denver home. After working in advertising and tech, Glenna decided to make a move to the outdoor industry and hasn’t looked back. 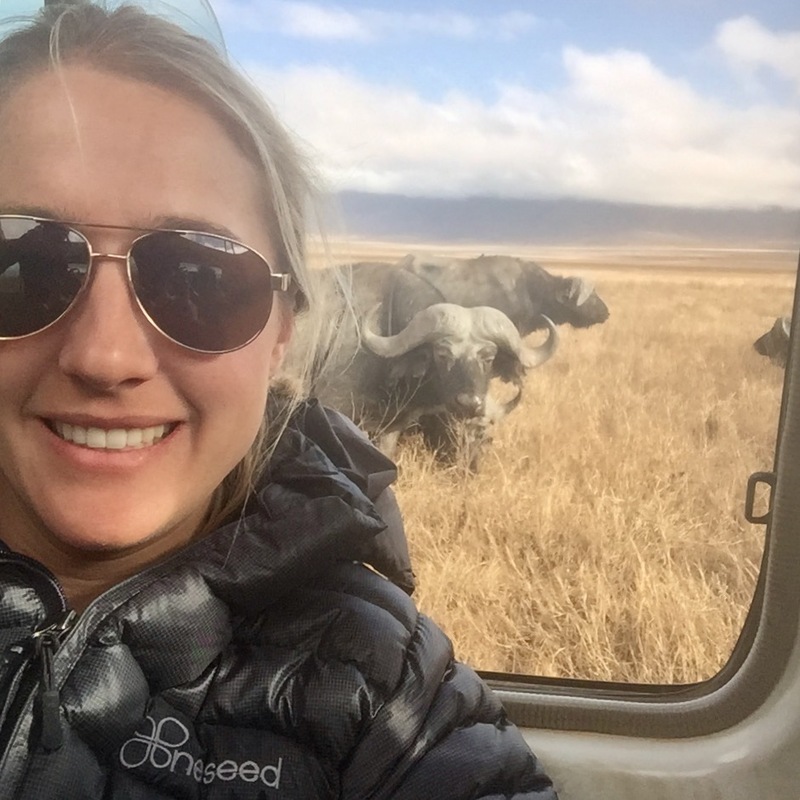 Travel is in her blood (her mom was a flight attendant), and Glenna has found a home at OneSeed Expeditions working as the Head of Operations. She is the country director for all OneSeed trips to Tanzania and manages the OneSeed Microfinance Fund, working with our nonprofit partners around the globe to grow and expand the impact of microfinance through travel. When she’s not cooking or baking, Glenna enjoys everything Colorado has to offer - skiing, hiking, swimming, yoga and barre-ing. Have a question about any of our Labs destinations? Ask Glenna! Vidhan Rana is an Entrepreneur and Researcher with experience in launching multiple enterprises and social initiatives. He started his professional career working as a research analyst at Whittaker Associates, an economic development consulting firm based in the United States providing guidance and support to economic development agencies at state and local level. In July 2011, he established Biruwa Ventures to support aspiring entrepreneurs to start their own ventures. Vidhan is responsible of setting the company’s vision and giving strategic support to the company’s management team. Over the course of five years at Biruwa, he has mentored over 400 entrepreneurs and invested in four startups. He has been a part of various consulting projects helping entrepreneurs develop business plans to conducting market research to managing a program targeted towards bringing foreign companies to Nepal. Krupa Patel is the Founder and CEO of Anza, a Tanzanian organization that provides capacity building, access to debt capital and collaborative co-working space for social businesses. Through this robust range of offerings, Anza meaningfully assists to start and scale businesses that create more jobs and provide life improving products or services to low income Tanzanians. Krupa has co-founded five additional start-up businesses creating Impact in Tanzania, ranging from a new chain of quality & affordable primary schools, a waste management & recycling business, a network of last mile sales agents distributing life improving products, an ethical fashion production line and Northern Tanzania's first co-working Hub. As an Acumen East Africa fellow of 2015 and an all round impassioned social entrepreneur, Krupa is dedicated to stimulating innovation geared for scalable and sustainable social impact in Tanzania.